Habanero peppers and Michigan cherries are the stars of this unique pepper sauce. 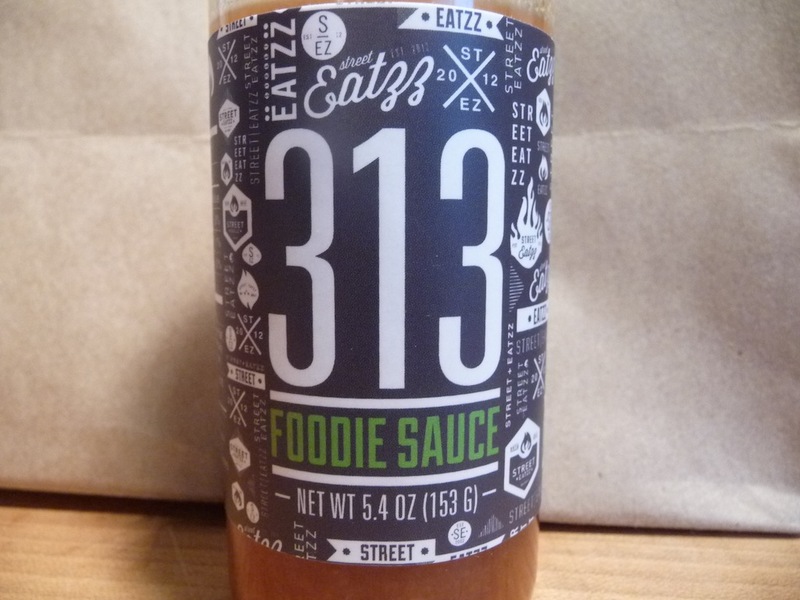 Even though STREET EATZZ 313 Foodie Sauce has quite a kick, they promise that even your girlfriend will like it. This bright tasting habanero sauce features Michigan dried cherries along with ground tomatoes and carrots. It’s called a “Foodie Sauce” – and probably for good reason – as we think this sauce needs to be on food. Straight out of the bottle it’s a bit sharp tasting, but on food it tastes much better. Texture & Appearance: This burnt orange colored sauce is slightly chunky. Bits of cherries and peppers bring a nice mouth feel to it. Very nice consistency. 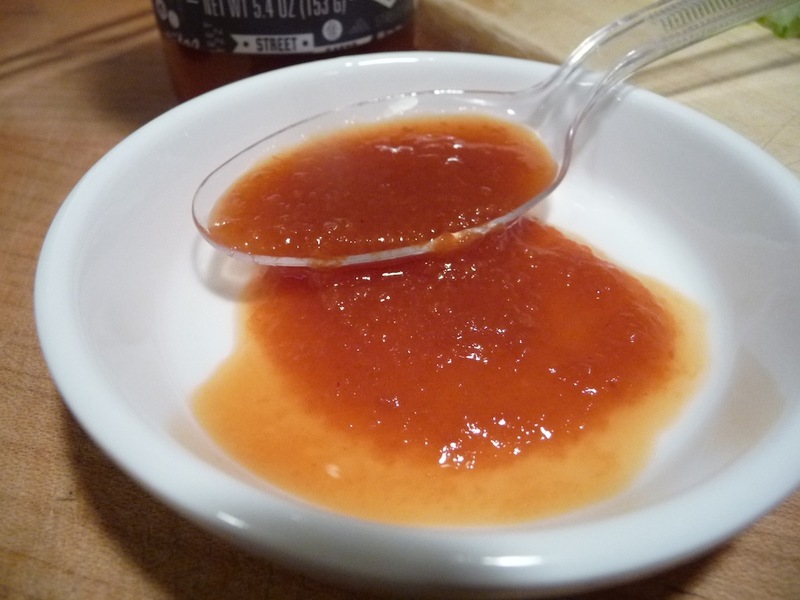 Taste Straight Up: Out of the bottle, a spoonful of Street Eatzz 313 Foodie Sauce delivers a variety of flavors – tang from the vinegar, tart from the cherries, sweet from the carrots and sugar, and a classic heat/burn from the habaneros. Label/Graphics: Very cool graphics on the label. “Street Eatzz” appears in many different fonts and graphics, and we like the simple color scheme – gray, white and green. Heat Level: A classic habanero burn. Right in the middle of our scale. 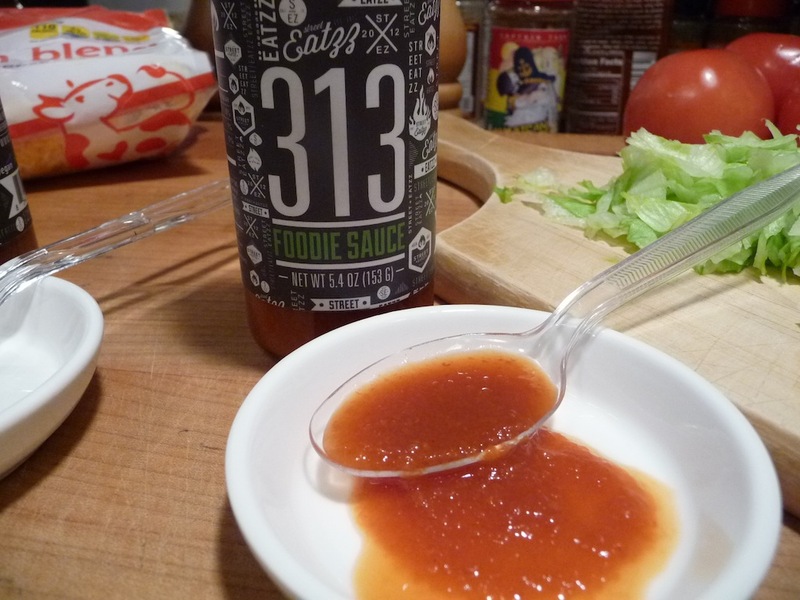 Final Thoughts: We poured Street Eatzz 313 Foodie Sauce onto some homemade tacos. 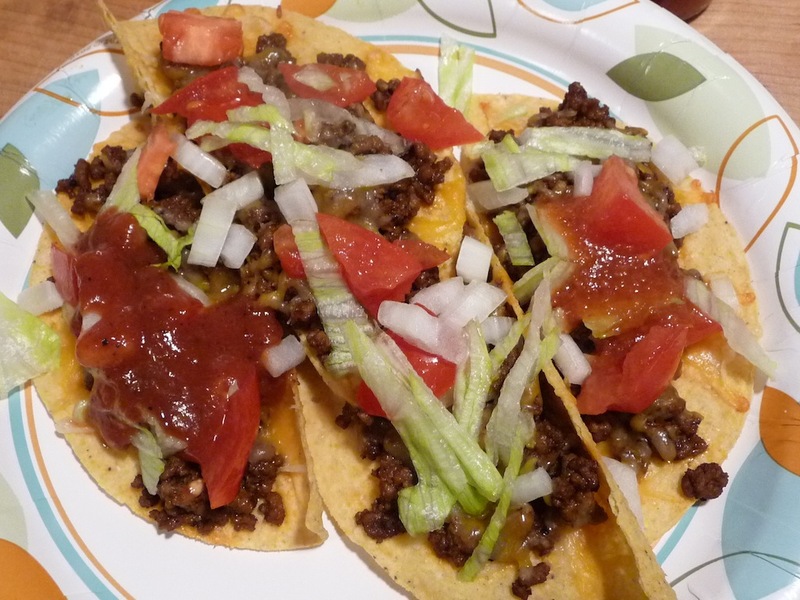 Normally, we’re not using habanero on tacos, but in this case the sauce added heat as well as texture. Pretty good for a habby sauce on tacos. Of course we had to try it on pizza too. 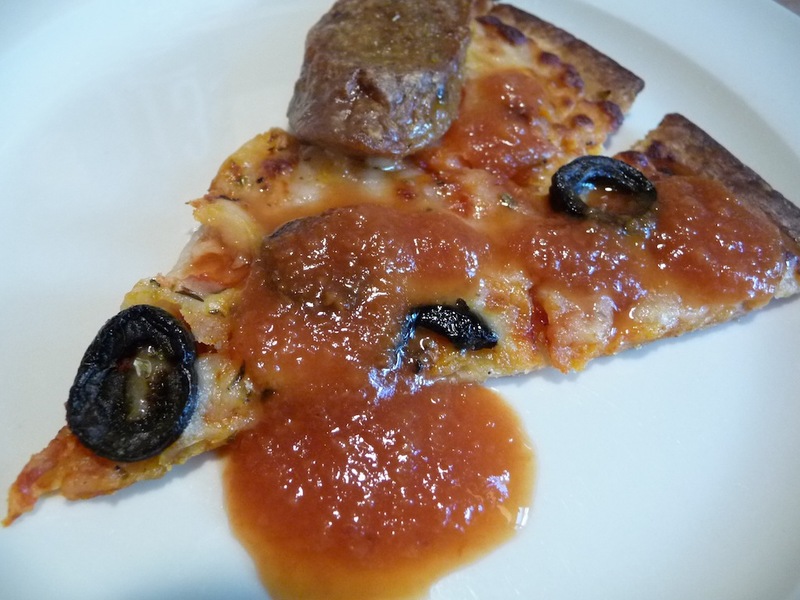 Now the sauce is really tasting good – losing some of the sharpness, it tastes fruity on the pizza. Sweet with heat. A good match here. We admire Street Eatzz for their concept (promoting Michigan based products) and their overall presentation and look. Street Eatzz 313 Foodie Sauce is a great first time hot sauce from these guys, and we look forward to what else they come up with. 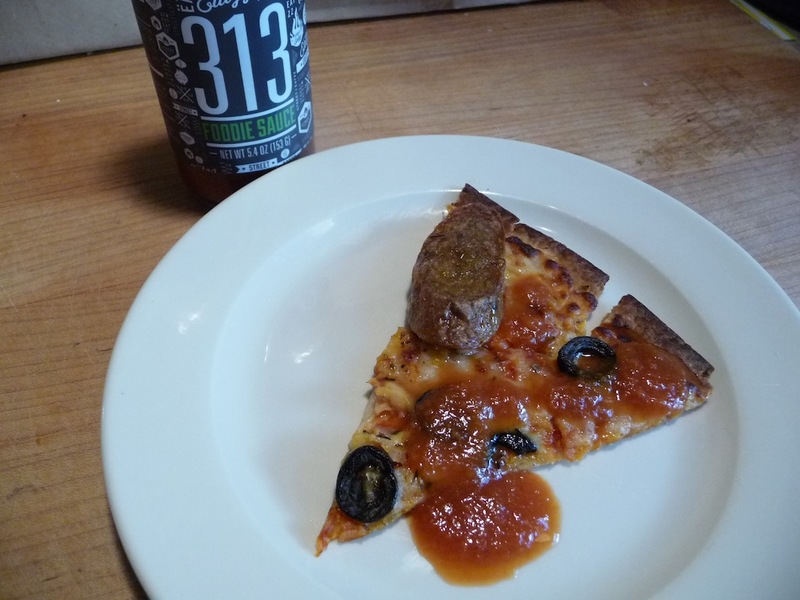 By the way, the 313 in the name is based on the area code for Detroit – home of Street Eatzz. They are also making and selling Street Eatzz Detroit Smoke Foodie Sauce – a condiment, not a hot sauce, as well as being distributors for Backwoods Mustard Co. Sweet Jalapeño Mustard. We plan to review those soon. Ingredients: cider vinegar, ground tomatoes (unpeeled ground tomatoes, extra heavy tomato puree, salt), carrots, Michigan dried cherries (cherries, sugar, sunflower oil), habanero peppers, salt. Heat: – 2.5/5 Right in the middle of the pack in heat level. The habanero burn is the classic front of tongue and back of throat. Overall: – 3/5 Above average, and worth a try. If you love habanero sauces you may like this one. The simple ingredient list (with the addition of cherries) combined with habanero peppers is true to form for a classic habanero sauce. good review as always guys! I like habanero sauces in general but I really like the sound of this one because of the cherries, that is two of my favorite flavors. Well, Cherry Man, you may like the next review of a Black Cherry BBQ sauce… stay tuned. Hey Brian, Thanks a million for the review. We most appreciate your time to do so. Our hat’s off to you for your tireless efforts in the Chili Head Hot Sauce Space. Street Eatzz is a new venture for us with a significant learning curve. That said we are having a lot of fun with the adventure.